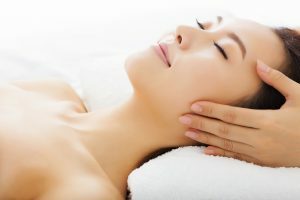 How long is a normal Zone Facelift treatment? Your wellbeing comes first in every treatment, and while the treatment itself usually takes about an hour and a half, I tailor your experience to you. All other appointments take between an hour and a half to an hour and forty five minutes – again to allow you space if you need it to ask questions and discuss any changes in health, medication or treatment aims. Most people find that on the whole, they come away feeling very sleepy and relaxed. Some people find they need to visit the toilet a little more or feel a little tearful in the hours following a treatment, as the relaxation causes the body to release things it may have been holding in before. Rarely, some people may find their problem gets a little worse before getting better, or feel like a slight cold is coming on – however, this usually passes within 24 – 48 hours if you keep yourself well hydrated. Will you achieve your treatment aim within a treatment? You never know – for some, I have seen dramatic improvement, and for others a much slower progression. However, you should notice a difference to the face even after a single treatment, as it leaves you with a visible glow to your features, like you’ve been on holiday! Shadows often lessen under the eyes and the eyes look brighter and clearer. As you go through your course of treatments, you’ll notice bigger changes – frown lines, facial lines and crow’s feet might reduce and the skin looks brighter. You might find you feel more balanced and healthier too. Zone Facelift costs £50 per session. However, it is most effective when received as a 12 week programme. £385 for the series of 12 treatments at my Victoria House practice (please email for a bespoke appointment at vhtherapies@aor.org.uk), and £550 for the series of 12 treatments in all other locations (including your home). You can get the most out of your treatments by letting me know you are interested in learning some self help techniques. These are simple techniques I can show you that you can apply in between treatments. Not everyone wants homework from their lovely, relaxing treatment and that’s ok – these techniques are only for those who’d like a bit more in between treatments to support my work in helping them achieve their treatment aims.